ISLAMABAD, Aug 11 (APP): National Assembly Standing Committee on Thursday, while considering “Eradication of Riba Bill-2015”, was informed by the Secretary, Ministry of Finance that subject matter is under consideration with apex court and Ministry of Finance is working for improving the Islamic Banking in the country. He said that Steering Committee report in this regard is also awaited, a statement issued by the National Assembly Secretariat here said. The 37th meeting of the Standing Committee on Finance, Revenue, Economic Affairs, Statistics and Privatization of the National Assembly was held here Thursday, the 11th in the Parliament House, under the Chairmanship of Qaiser Ahmad Sheikh, MNA. The Committee discussed the following agenda :-1-Confirmation of minutes of last meeting held on 03-08-2016. 2-Briefing by the Chairman, FBR regarding tax imposition and its implementations on real estate transactions in light of the amendments made in the Finance Bill, 2016-17. 3-The Cost and Management Accountants (Amendment) Bill, 2015. (Government Bill) 4-The Benami Transaction (Prohibition) Act, 2016. (Government Bill) 5-An Eradication of Riba Bill, 2015. The Committee approved / confirmed the minutes of last meeting held on August 3, 2016. The Committee Members were requested by the Secretary, Ministry of Finance & Revenue that agenda item No. ii & iv may be deferred owing to the unavailability of the Chairman and concerned officers from Federal Board of Revenue (FBR). He added that the Cost and Management Accountants (Amendment) Bill, 2015 was under consideration by the Ministry of Finance & Revenue as directed by the Committee. He also stated that it may be taken on agenda after one month. 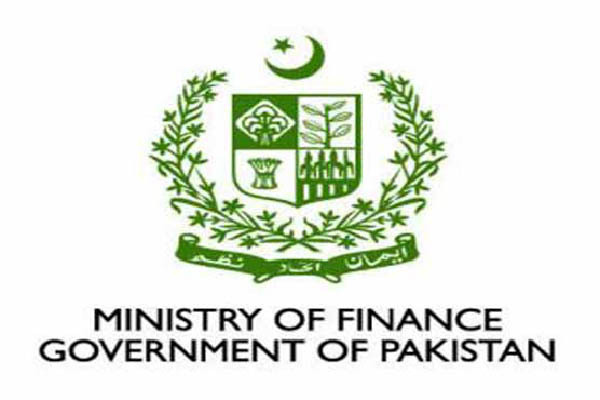 While considering “An Eradication of Riba Bill, 2015” the Secretary, Ministry of Finance informed the Committee that subject matter is under consideration with apex court and Ministry of Finance is working for improving the Islamic Banking in the country. He further added that steering Committee report in this regard is also awaited. Mr. Sher Akber Khan, MNA/Mover of the Bill said that subject Bill may be deferred for the conclusion of its report by the Ministry. The Committee decided that same may be taken on the agenda later on with consultation of the mover. The Committee decided that next meeting of the Committee would be convened on August 23. The meeting was attended by Saeed Ahmed Khan Manais, Rana Shamim Ahmed Khan, Muhammad Pervaiz Malik, Sheikh Fayyaz-ud-Din, Mian Abdul Mannan, Ms. Shaza Fatima Khawaja, Ms. Leila Khan, Syed Naveed Qamar, MNAs and Sher Akber Khan, Mover/MNA.